SAN DIEGO, Calif. /California Newswire/ — Mortgage Capital Trading, Inc. (MCT), a leader in mortgage risk management providing pipeline hedging, best-execution loan sales and centralized lock desk services, announced that the company has earned a spot on the Inc. 5000 list for the sixth straight year. MCT had a three-year growth rate of 62 percent and annual revenue of $11.4 million for 2015. Companies such as Microsoft, Dell, Zillow, LinkedIn, Yelp, iContact, Pandora, Domino’s Pizza and many other well-known names gained their first national exposure as honorees of the Inc. 5000. The methodology behind the 2016 Inc. 5000 rankings is based on the percentage of revenue growth when comparing 2012 to 2015. To qualify, companies must have been founded and generating revenue by March 31, 2012. They had to be U.S.-based, privately held, for profit, and independent — not subsidiaries or divisions of other companies — as of December 31, 2015. (Since then, a number of companies on the list have gone public or been acquired.) The minimum revenue required for 2012 is $100,000; the minimum for 2015 is $2 million. Companies on the Inc. 500 are featured in Inc.’s September issue. The annual Inc. 5000 event that honors all of the companies on the list will be held from October 18 through 20, in San Antonio, Texas. Speakers include some of the accomplished entrepreneurs such as best-selling author and strategist Tony Robbins; SoulCycle co-founders Elizabeth Cutler and Julie Rice; Cornerstone OnDemand founder, president and CEO Adam Miller; Marvell Technology Group director and co-founder Weili Dai; and New Belgium Brewing co-founder and executive chair Kim Jordan. In addition to making the Inc. 5000 list six years in a row, MCT has also earned a spot on the Inc. 500 list. Notable is that MCT has made the San Diego Business Journal’s 2013 Top 100 Fastest-Growing Private Companies list with a rank of 27. MCT has won numerous other awards which, to name a few, include Best Places to Work in San Diego five years in a row, Healthiest Companies to Work For two years in a row, Workplace Excellence Award, Mortgage Technology magazine’s Release of the Year award for its MCTlive! secondary marketing platform, and more. The company’s executives have also won many professional achievement awards within the mortgage industry. Complete results of the 2016 Inc. 5000, including company profiles and an interactive database that can be sorted by industry, region, and other criteria, can be found at http://www.inc.com/inc5000. 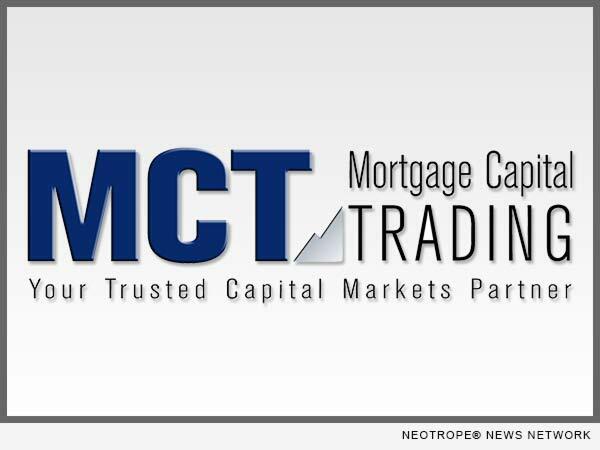 Mortgage Capital Trading, Inc. (MCT) is a capital markets-focused risk management and advisory services company providing independent analysis, training, hedging strategy and loan sale execution support to clients engaged in the secondary mortgage market. Founded in 2001 and headquartered in San Diego, the company also has offices in Pennsylvania and Texas. MCT is a recognized leader in the industry and currently supports more than 150 clients on the HALO (Hedging And Loan sales Optimization) Program. The company also develops and supports MCTlive! (TM), an award-winning real-time, trading and best-execution secondary marketing platform. MCT’s LockCentral(TM) is the industry’s largest outsourced centralized lock desk service. For more information, please visit http://www.mct-trading.com/ or call (619) 543-5111.